HARVEY, Ill. (WLS) -- A home caught fire in south suburban Harvey. Firefighters responded to a house near East 159th Street and Park Avenue around 5:30 a.m. Friday. The structure was fully engulfed by flames when they arrived. The cause of the fire is under investigation. It appears to be a natural gas leak. 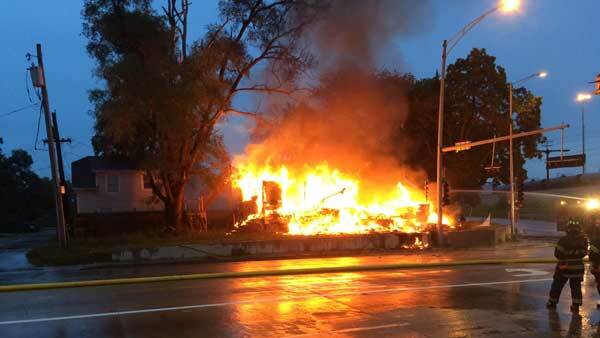 Firefighters found a home fully engulfed by flames in south suburban Harvey.